Recommended Parking as follows - Street side Parking Available. Large lots are located directly west of our location at Sixth Street Parking Lot ( P3Parking Lot ) ( 150W 6th St Lafayette ) and 6th Garage Parking Lot ( 514S S Lafayette Ave ). Let us host your small to large private event. We specialize in gatherings of all sizes, from 10 guests to 250! Private Events, Charity Fundraisers, Corporate Events, Birthdays, Bachelorette Events, Holiday Partys, Lunch Ins and More! Two floors of flexibility to best customize your event's specific needs. Please contact us @ 248-591-9000 or at gm@526main.com so we can discuss your event today! 526 Main Dueling Piano Bar is the premier nightspot destination in downtown Royal Oak, featuring world touring professional piano players who sing and entertain with humor and audience participation guaranteeing a thrilling and enjoyable time for all. Our elevated stage, viewable from all of our seating, creates a lively atmosphere in which guests are encouraged to participate with our dueling pianist. Granite walls & deep red tapestries fill the room and contribute to our sense of elegance and warmth. Twelve large screen televisions accent the room, with a stage occupying the center. The menu copies the atmosphere taking sophistication and balance to heart. You are sure to leave satisfied. If you are looking for that south-of-the-border dance flair, look no further than Royal Oak's Tequila Blue Nightclub. With our Mexican-inspired motif complete with vintage Mexican artwork, decorative ceramic tiles, impressive stone work & thatched-roof cabanas! Thank goodness for the duelling pianos, the absolute only reason we stayed, everything else: food, drink, service, was either sub or barely par. I read the reviews and took a leap of faith since I live in Royal Oak. I expected the crowd noise since I have been to piano bars before. The sound quality from the pianos was terrible and the singers were screaming the lyrics. The musician were fair on a skill level. So it was just fair. The food quality needs some work. Get some skill in the kitchen. The best item was the chicken bacon ranch flatbread. The fish and chips were super skimpy and tasted like gortons frozen stix. Tacos were not that great. Drinks were expensive and watered down. Fun place! But if you want to converse with the people you're with, maybe not the place to go for the evening. We thoroughly enjoyed the entertainment but left after dinner because we were with friends that we hadn't seen in a very long time and had a lot of catching up to do! Food was great....fried pickles, poppers, margherita pizza and bbq chicken flatbread.....wonderful!!! Oh, and the Gallagher Smash was, in a word, smashing!! Definitely recommend for a fun, entertaining night! We had a great time. Excellent place to go with a group or just with a friend. Food was really good. Entertainers were awesome. Great place. Even better on piano nights. Great food, great atmosphere, really fun experience. My wife and I went here on a date night and had a really fun time. Bit pricey, but overall a great experience! Fun place! Great date night! Kris, Thank you for the 5 star review! Please visit again soon! We were seated upstairs, the service was lousy, and the food certainly wasn't worth what we paid for it. We have been here before and were seated downstairs and everything about that experience was terrific. Unfortunately we brought friends this time and were really disappointed. Dueling pianos were great. Food bad. Drinks expensive. The chef and the food awful. I sent my order back twice and chef never got it right. Last time I’ll spend a dime at this place. We go there for the entertainment, not the food. Fish & chips overcook, dry & chewy. Pizza was good & the chocolate cake was good also. We had to redo nachos because cook forgot the beef. Jill, Thank you for the kind 5 star review. 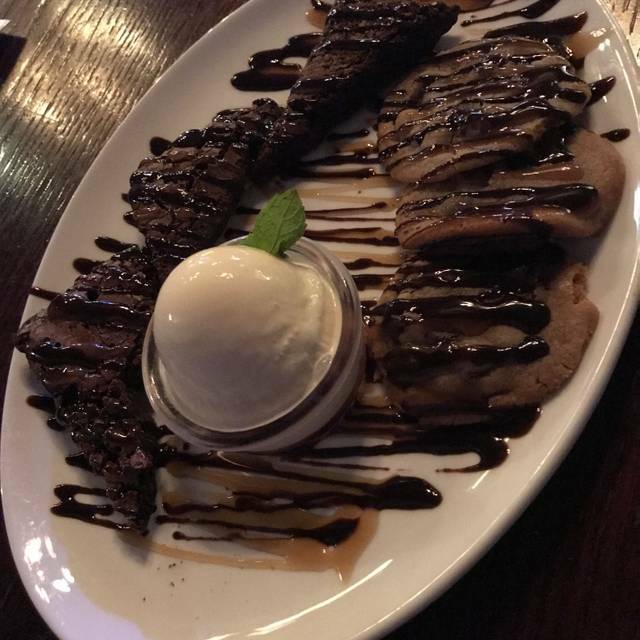 We are glad you enjoyed our Pizza and Chocolate Cake dessert. Please visit again so we can get that Fish and Chips right! Thanks again! It was nothing like what they made it seem... It's a run down bar with two piano's in it! It was a waste of time and money! The menu is small with terrible options and the drinks are watery and over priced!! We were seated by the door where we couldn’t see the pianists. We couldn’t hear well enough to know that there were two pianists. We didn’t even have a waitress for drinks after fifteen minutes of waiting. Didn’t even stay and use our Groupon. They didn’t have enough staff working. It took forever to get our drinks and food. The food wasn’t good tonight. We have been in the past and remember the food being much better! Great time! Great music. Talented and hilarious musicians coupled with courteous and attentive staff are always a winning combination! Donald, Thank you for the flattering 5 star review! Please join us again soon! Service was a little slow. Some food was real good and some was not. The service and management were horrible. We made a reservation a month in advance and our table was so far away. You couldn’t see the piano and could barely hear the music. I would normally recommend, however, it was not a great experience this go round. I have been here close to 10 times and this was by far the worst of my experiences. There apparently was a large party prior to all the dinner reservations. They were scrambling to set tables up. We were seated a half hour late, at a table that was different from what we reserved. We were thrown in a corner behind the bar. The whole point of making a reservation is to get the table you want. The server was okay. However, she completely forgot to put in one of our dinner orders. My food was cold and was not appetizing. We were looking forward to the dueling piano's but were a bit disappointed in the pianists. While the played rhe piano very well, the females personality left something to be desired and she couldn't carry a tune. Hopefully, if I decide to return, my experience will be better. 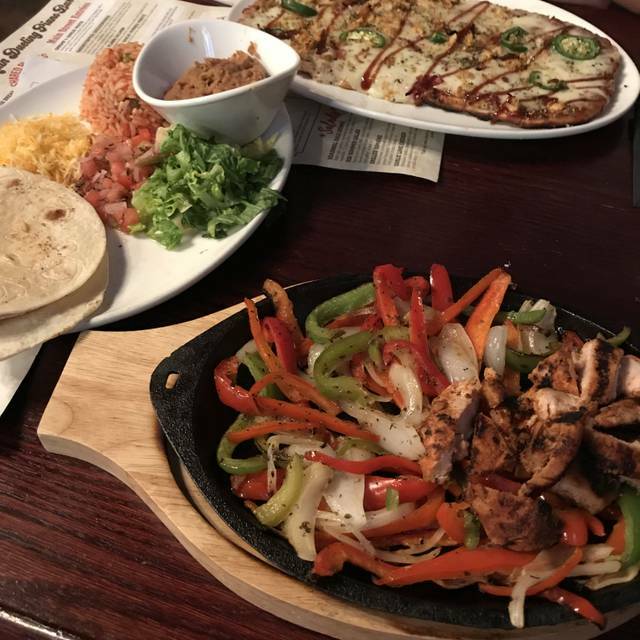 Food was okay. Service was friendly and good. The only issue that threw everything off is the live music is too loud. I can’t even talk with other people without yelling and my ear started hurting after a while. When I left the restaurant, I felt like I just got out of a concert standing next to their main speakers. Food is average but service was great. Piano dueling is only Thursday thru Saturday. What a great time here. 3 piano players know almost every song. They switch out every so often, the service was great never had a problem getting a drink everyone was very friendly . Good pub food. Don't expect the keg or hi end food but just really good. Our server was amazing and very attentive. The food and the entertainment were both very enjoyable. We had a reservation which was canceled because we didn’t show on time. Our dinner reservation took over 40 minutes past our dinner reservation time because the people stayed at our table longer than expected. I tried to call you but there was no way to reach an actual person so I left a message. We were able to get seated but the means of communication is poor. We had a ball. The musicians were definitely talented and the servers were really friendly. Awesome food, awesome atmosphere, awesome show!!!!! 3 thumbs up!!! We used open table for reservations. We arrived 15 minutes early and were seated right away. Our waiter was very attentive and the food and drinks were delicious. Loved the entertainment. We had a great time. I made a table reservation online, but when we got there , they couldn't find it. The parking situation is horrible (thanks, city of RO). Not my cup of tea. Wa-a-a-a-ay too loud. then they (she) couldn't find it!!! frowny-face. You know every song they play...it's a comedic sing-a-long. The pianists are awesome! So much fun! Excellent atmosphere. Really enjoyed ourselves! We had a party of 13 and everything turned out great! The piano players were amazing and kept their audiences attention! We had such a good time at 526 Main. Our waitress was amazing and we ended up with a little private booth. The food and drinks were great though I'd say a little overpriced. However, you are paying for the experience it isn't just dinner you are paying for. Make sure you make reservations, all of the tables were reserved the night we went so we were so happy we had a reservation! Overall we had a great time and are planning to come back in the future! Thank You So Much!!! We love hearing such great feedback! Hope to see you soon! First time there and we had a Groupon. Our waiter was outstanding and the entertainment (dueling pianos) was a lot of fun. We had a great time! We were a party of five gals. We had a great time, and loved the rotating piano players! Thank You for spending your GIRLS NIGHT OUT with us! Come back soon! Experience would have been great if out waitress wasn't so rude. The amount of excuses she gave was unreal. Thankfully, Charles the manager made up for it! I would highly recommend the entertainment. The food was one of the worst we've ever had. Chicken was burnt fries were ice cold mac and cheese was cold just horrible food.